NTN-SNR (part of the NTN Corporation) has been one of the most innovative companies in bearings for decades. The NTN Group is one of the largest roller bearing manufacturer in the world. 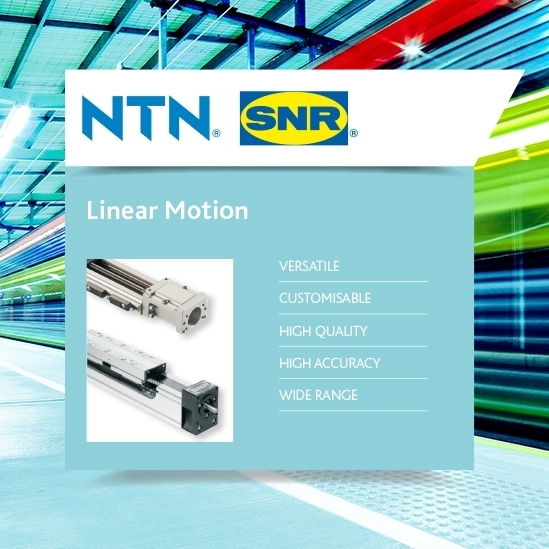 NTN-SNR has been established in the linear technology market since 1985 and strives to offer a complete and competitive product range. Their innovative range is based on a patented ball chain system. Their broad linear range offers solutions for all applications, with linear guidance and drive systems able to be combined to meet the demands of the market. Rail guides are used in a variety of applications such as: machine tool construction, packaging and printing machine construction, building of general and special machines, aeronautical construction, automation and assembly lines, the timber and semiconductor industries, medical technology and many others.